All normal children in normal environments acquire language, but not all children in normal bilingual environments acquire two languages. This talk will present data from longitudinal studies of US-born Spanish-English bilingual children and data from US-born Spanish-English bilingual adults that begin to explain why this is the case. 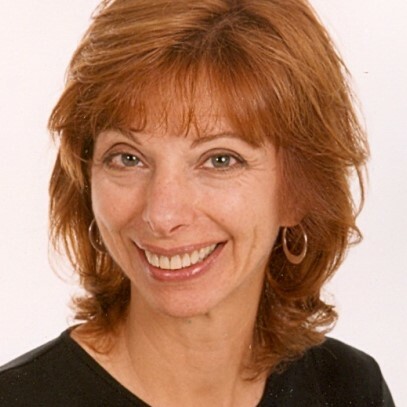 Dr. Hoff is a Professor in the Department of Psychology at Florida Atlantic University. She is also the director of the Language Development Lab, which comprises several projects aimed at identifying the human abilities and human experiences that contribute to language development. In particular, Dr. Hoff’s research focuses on the processes of early monolingual and bilingual development and understanding how children’s environments support their language growth. She is also interested in identifying factors that help children from bilingual homes acquire the English they need to succeed in school, while also acquiring their families’ heritage language. Her work has been continuously funded by agencies like the Eunice Kennedy Shriver National Institute of Child Health and Human Development. Event related potentials (ERP) have been used for decades to study language processes in real time. However, with the overwhelming tendency in the field to emphasize localization of the brain areas supporting language, ERPs are often sidestepped as a measure for understanding the structure of the brain. I will present a brief overview of how my lab (and others) have used ERPs to answer questions about the organization of the brain for language. This work includes prediction and integration of word during sentence comprehension and bilingual lexical access. Dr. Nicole Y. Y. Wicha is an Associate Professor of Neurobiology at the University of Texas at San Antonio. She received a PhD in Cognitive Science from the University of California at San Diego under Drs. Elizabeth A. Bates and Marta Kutas. Her dissertation research provided early evidence for prediction during sentence comprehension. She first studied the bilingual brain as a postdoctoral fellow with the Institute of Neural Computation. Her lab continues to investigate language comprehension using ERPs, with an additional focus on how language experience affects other cognitive processes. She is currently funded by the National Institute of Child Health and Human Development to study arithmetic in the developing bilingual brain. Music and rhythm-based interventions are emerging as viable therapeutic options for a growing number of disorders. In particular, several impairments in Parkinson disease (PD) appear to be amenable to music and rhythm-based interventions. Temporal processing is known to be impaired in PD, and external rhythmic cues may improve this in the short term. I discuss the current evidence regarding the use of rhythmic auditory cueing in PD, and will also summarize research utilizing group singing as an intervention for voice, swallow and quality of life in PD. I describe the current thinking regarding potential mechanisms by which music and rhythm-based interventions exert their effects in PD, and conclude by summarizing relevant future studies at the Johns Hopkins Center for Music & Medicine. Alexander Pantelyat, MD is an assistant professor of Neurology at the Johns Hopkins University School of Medicine. He is the director of the Johns Hopkins Atypical Parkinsonism Center, the co-Director of the Johns Hopkins Movement Disorders Fellowship Program, and the co-Founder and co-Director of the Johns Hopkins Center for Music & Medicine. Dr. Pantelyat’s research explores atypical parkinsonian disorders, such as dementia with Lewy bodies, progressive supranuclear palsy, corticobasal syndrome/degeneration and multiple system atrophy; cognitive aspects of movement disorders; and music-based rehabilitation of neurodegenerative diseases. 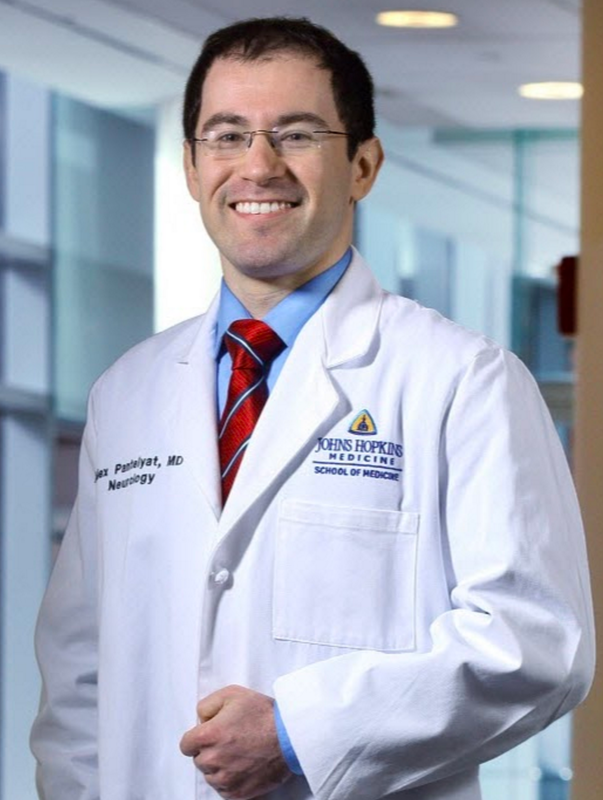 Dr. Pantelyat earned his medical degree from Temple University School of Medicine in Philadelphia, where he was elected a member of the Alpha Omega Alpha Honor Medical Society and received the Matthew T. Moore Prize in Neurology. He completed his residency training in Neurology ​at the University of Pennsylvania in Philadelphia, and a fellowship in movement disorders at the University of Pennsylvania/Philadelphia VA Medical Center. As part of his fellowship, Dr. Pantelyat also completed the Clinical Research Certificate Program at the Center for Clinical Epidemiology and Biostatistics. He is a 2013 American Academy of Neurology Palatucci Advocacy Leader and grant recipient, a 2014-15 American Academy of Neurology Emerging Leader, and a 2014 Johns Hopkins University School of Medicine Osler Attending Program inductee. Dr. Ping Li, Ph. D.
How does the learning of a second language (L2) impact the functional and structural changes in the brain when the brain is already dedicated to one’s native language (L1)? How can we identify, predict, and promote rapid L2 learning-induced brain changes? While the mainstream cognitive neuroscience of language has focused on the learning and representation of L1, in recent years there has been a surge of interest in the L2 mind and brain. In this talk, I ask how second language experience shapes functional and neuroanatomical changes, and present evidence from our short-term training or long-term longitudinal studies of students who learn Chinese or Spanish as their L2. With these studies we attempt to identify (a) how neurocognitive changes occur as a function of learning contexts (traditional vs. 3D virtual environment), (b) how such changes may capture learning success and effectiveness, and (c) whether the changes may be predicted based on individual learners’ neurocognitive profiles. Findings from our studies provide insights into the understanding of neuroplasticity (e.g., how learning leads to domain-specific and domain-general brain changes), individual differences (e.g., how cognitive capacity impacts and predicts learning success), and knowledge representation (e.g., how neurocognitive patterns reflect knowledge and understanding in the L2). 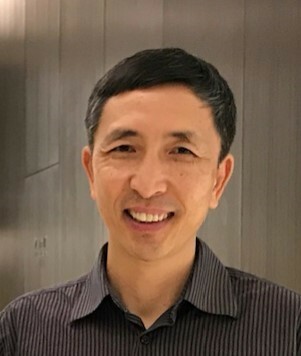 Ping Li is Professor of Psychology, Linguistics, and Information Sciences & Technology at the Pennsylvania State University, where he also serves as Co-Director of the Center for Brain, Behavior, & Cognition, and Associate Director of the Institute for CyberScience. The goal of his research is to understand the neural and computational bases of language representation and language learning, using convergent behavioral, computational, and neuroimaging methodologies. Studies in his lab specifically address the questions of neuroplasticity, individual differences, and knowledge representation. Li is Editor-in-Chief of Journal of Neurolinguistics and Associate Editor of Frontiers in Psychology: Language Sciences. He previously served as President of Society for Computers in Psychology and Program Director of Cognitive Neuroscience and Perception, Action and Cognition at the US National Science Foundation. For more information about his research, visit http://blclab.org/. What factors affect the coding of two languages in the brain? For over 100 years, researchers have suggested that age of acquisition, language proficiency and cognitive control play a role in the neural representation of two languages. Work in the Laboratory for the Neural Bases of Bilingualism at the University of Houston has looked at the effects of all three factors on brain activity in child and adult Spanish-English bilinguals. This work has considered the role of age of acquisition and language proficiency on the brain activity in tasks involving speech sounds as well as the processing of grammar and meaning. In recent years, there has been renewed interest in the relationship between bilingualism and a possible advantage on cognitive control tasks. Results from studies in my laboratory provide some evidence of a “bilingual advantage” related to cognitive control. We have also found evidence that carrier status of a gene involved in subcortical dopamine as well as bilingual language experience is associated with different patterns of brain activity in bilinguals. Taken together results from my laboratory suggest a complex and dynamic relationship between age of acquisition, language proficiency and cognitive control. Dr. Hernandez is a Professor in the Department of Psychology at the University of Houston. He is also affiliated with the UH Cognitive Science program and with the Human Neuroimaging Laboratory at the Baylor College of Medicine. His research focuses on investigating the neural underpinnings of bilingual language processing and second language acquisition. Specifically, his work has focused on three principal aspects of bilingualism: the age at which a language is learned, the role of proficiency, and the cognitive control mechanisms involved in maintaining two languages. 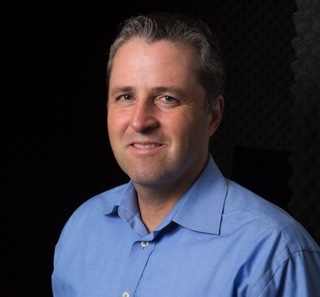 He uses both behavioral and neuroimaging methods to investigate these issues.